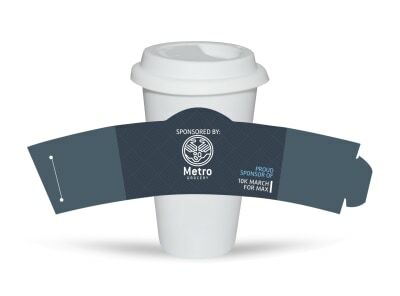 Whether you’re serving up a hot cup of java to clients at a meeting or networking with hot cocoa at a trade show, cup sleeves are an excellent way to build your company’s brand recognition. 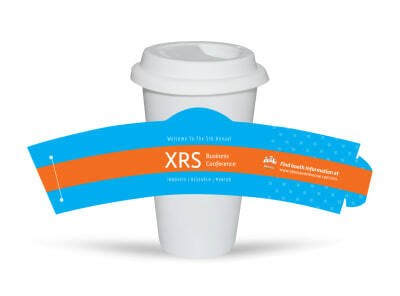 Our business services cup sleeve templates make it easy to customize your own sleeves with your company logo, tagline, promotion, or other marketing message with just a few mouse clicks and keystrokes. Upload artwork, graphics, or images, or select from our stock photo inventory to really own your design and make it yours. We can print your sleeves for you using premium materials, or opt for in-office printing to put your sleeves into use faster.